Rio Salado College | RioNews: Last Chance to RSVP for Free Dental Clinic 6/25! 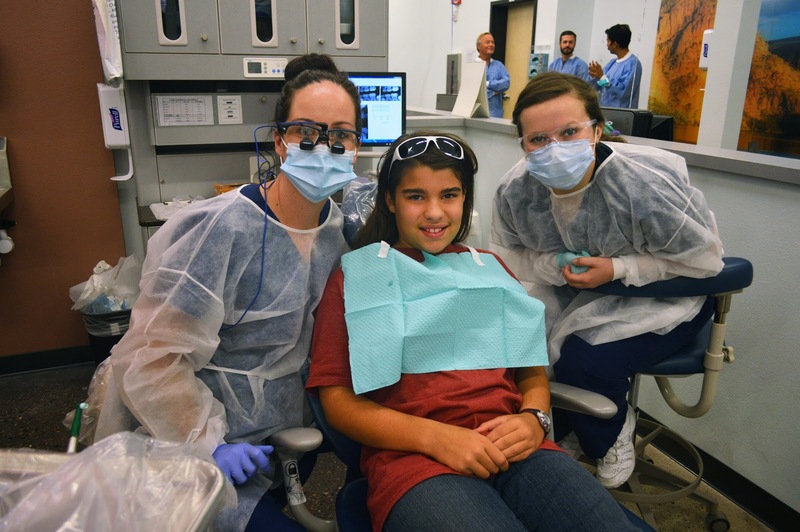 Last Chance to RSVP for Free Dental Clinic 6/25! 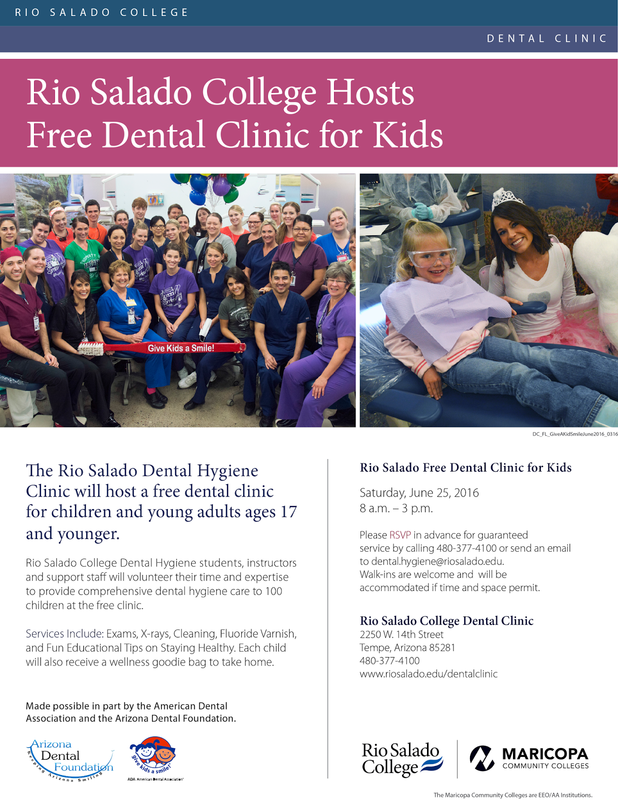 The Rio Salado Dental Hygiene Clinic still has a few openings for this Saturday's free dental clinic for kids! 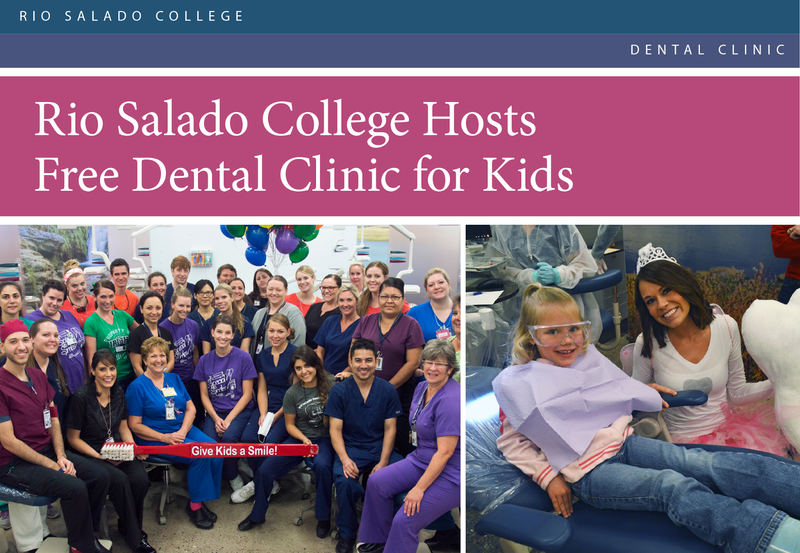 Rio Salado College Dental Hygiene students, instructors and support staff will volunteer their time and expertise to provide comprehensive dental hygiene care to more than 100 children at the free clinic. 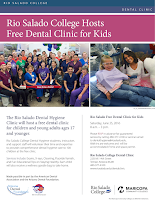 The clinic is for children and young adults ages 17 and younger and will take place Saturday, June 25, 8 a.m. to 3 p.m. 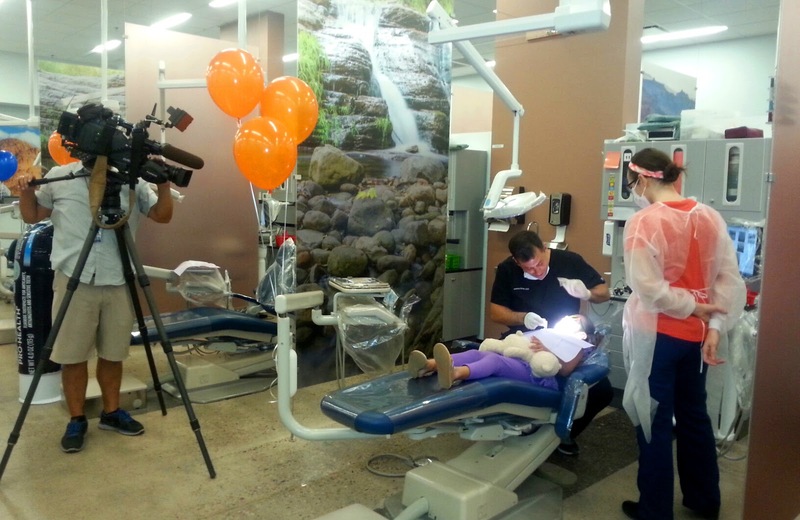 The FOX 10 Arizona Morning team plans to join us as we kick off this event-- to help increase awareness about the importance of dental hygiene. Tune in at 8 a.m. for live coverage. Tooth decay is the most common chronic disease in children, but is almost entirely preventable! 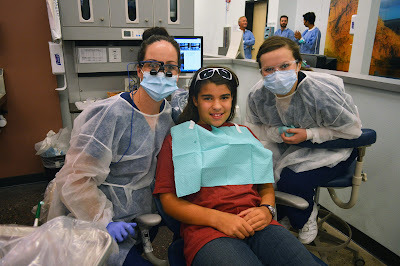 This June 25 clinic is made possible in part by the American Dental Association and the Arizona Dental Foundation.